Last Saturday I was invited by lovely Candy Sofea for this celebration. Since her birthday is in September, Benefit Cosmetics Malaysia invited her to celebrate together with the 1st anniversary of Malaysia first ever Benefit Cosmetics Boutique in 1Utama which are also in September! How lucky September babies are! Cute Angeline and Gorgeous Rane one of the September babies! Pretty aren't they! Pink flowers and plates are a must! Of course! Can't stop taking pictures. I need a rehab for pink things! Mini pies and chocolate dessert! Yums! The most fun part of my day is got to meet my lovely blog friends! We are total stranger and we know each other through social media! Blog, instagram and others! When we can finally meet in person, it is really fun! 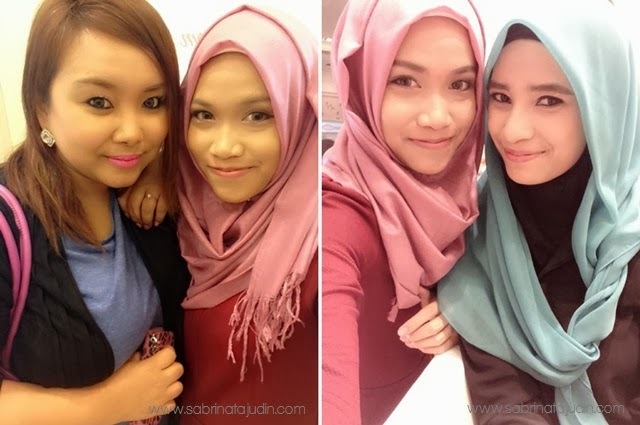 Left : Me & awesome MUA Raja Sufiena | Right : The Birthday Girl, Candy Sofea and me! 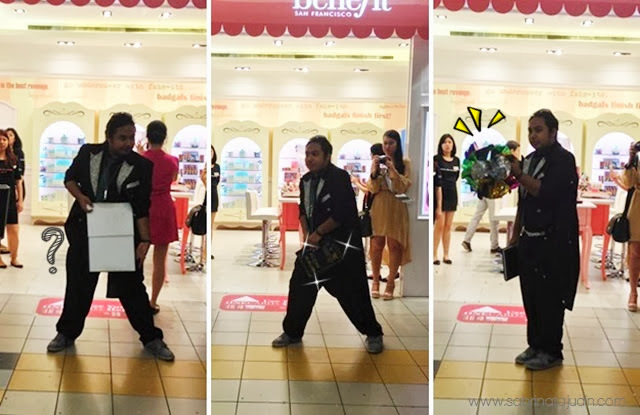 *Actually I got a free brow grooming during this event, as you can see a before after brow in this picture. In the left side is the before and the right image with Sofea is after. My brow is done by Charlene Khor! She is very sweet leh! And she have such a gorgeous eyes! Close up of my brows, ok or not? This is my first time having such bold brows. Hehe. Thanks for inviting me dear! The awesome goody bag are for September babies! Huwaaaaa! So jelly! hehe. I got a sneak peek on what they got. I warn you guys not to know what inside! haha! You still wanna know? Promise you wont get jelly? Hehe, yes, they got some of Benefit crease-less cream shadow, eyeshadow full size in a beautiful 2 tier customize Benefit cosmetics acrylic case! Go to Candy Sofea post here to look what she got! Below are my goodies! Love the cupcake! I got a free brow service card, cute Benefit note pad and travel size Sugarbomb lipgloss! They are amazing! Well that all from me for today! Do visit below official social media of Benefit Cosmetics Malaysia to get latest updates and info babes and read the Part 2 and 3 of this Benefit Cosmetics Post! Remember! Laughter is the best cosmetics! yep! ^_^ thank you dear! Sab...wish I could look pretty like you in pink!btw, cake tu cuteness!